Focus on the big picture with your own dedicated remote assistant backed by a team of highly trained specialists. Introducing a smarter way to get help with all your life logistics. Sigrid.AI is the executive assistant for the way we work now: available across time-zones and on your terms. Sign up for reflections, insights, customer stories and special offers as we shape the executive service of the post 9-to-5 world. Are you focusing on the right things? See why entrepreneurs, Fortune 500 executives, hedge fund and venture capital partners, consultants, lawyers and small business owners trust Sigrid.AI to keep them focused on the matters that matter. 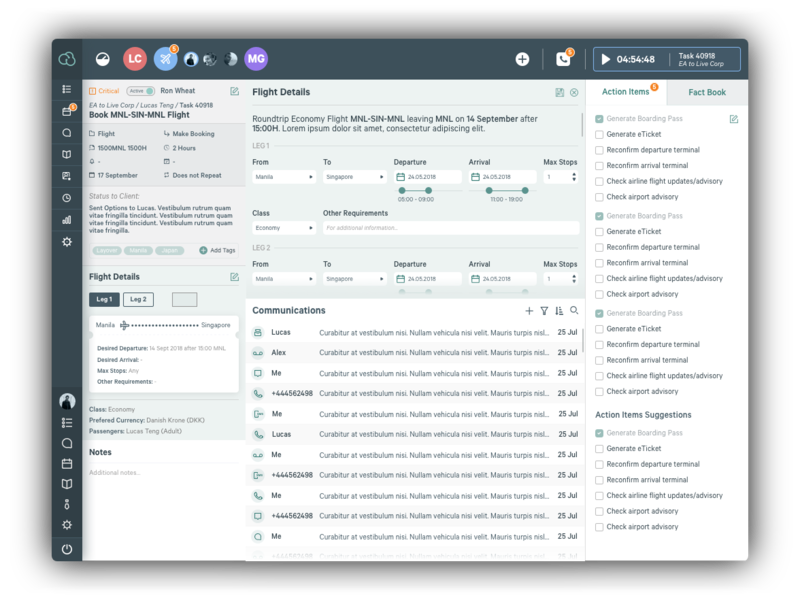 Customers use Sigrid.AI for everything from booking flights to in-depth research, with a million and one tasks in between. Whatever you need, chances are we’ve got you covered. Sigrid.AI works when you work... choose the package that reflects your needs and start making your time count. Whichever you choose, you can cancel or change your subscription with two months’ notice. Under the hood of Sigrid.AI is a machine learning platform that records your preferences, learns them, and presents them instantly to the assistant you’re working with. By learning to anticipate your needs, we learn to meet them quicker. Unlike fully virtual assistant services, Sigrid.AI uses technology to support our human assistants – not to replace them. We built a collaboration platform that helps the team solve problems and complete tasks collectively, saving them more time individually. The platform uses machine learning to identify the kind of task, giving the assistant a headstart before they’ve even opened your email. While tech might power our engine, our people are plotting the course. At the heart of Sigrid.AI is the idea that, collectively, we’re smarter. That’s why when you hire an executive assistant from us, you’re also hiring the sum total of our team’s expertise. Our managed team of executive assistants are supported by a team of specialists who are available round the clock to take care of the details so you can take care of the big picture. Chatbots don’t cut it for our customers. Unlike self-managed or automated services, Sigrid.AI provides a high-involvement service for individuals with highly complex needs. Schedule a call to learn more about how Sigrid.AI works.